Planning a party can be both fun and stressful at the same time. 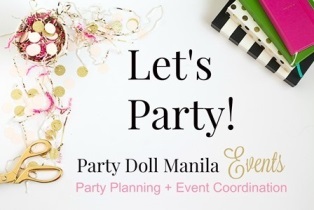 By planning ahead, you can actually make your party worry-free and in most cases, also cut-down cost. If you are doing business with a supplier for the first time, please make sure you do a background check before making payment. If and when you have any doubts about the supplier, then it is always safer to consider your other options, including finding another supplier or ask for referrals. At the end of the day, these suppliers can help us achieve our dream party or make it our worst nightmare! Whether you’re planning for a shower, a birthday or other special milestones, this is the perfect event for you! Lots of reliable suppliers are going to be there so mark your calendar for “Celebrations Fair – Your Party Needs in One Roof”. Special thank to Ms. Christine Pareja-Caballero of Sky Cable for giving me the complete list of vendors. Remember, don’t stress too much and have fun! looks like a perfect venue for party planners! Hi Jo-Anne, thanks so much for sharing this 🙂 See you on Saturday!